Seton Medical Center Williamson just celebrated its 10th year of operation in Williamson County, but for Pam Walker, one of our amazing volunteers, her ties to Seton Medical Center Williamson began before it even opened its doors. Pam was the very first resident of a new section of the Teravista community, located directly across from Seton Medical Center Williamson. Shortly after moving in, the Round Rock area started buzzing with news that Seton would be opening a new facility in the area. At the time, there was very little development in the area, so the news that the area would be getting its own hospital was a blessing to the community. For Pam, the news that a Seton hospital would be moving in as her neighbor was extra special: a newly converted Catholic, Pam’s Confirmation Saint was St. Elizabeth Ann Seton. As the first resident of a new neighborhood section, Pam didn’t have any neighbors to chat with in the evenings, so when she arrived home from work each evening, Pam would sit on her front porch and watch as the Seton hospital rose into the Round Rock sky. As she watched the building rise, Pam felt a strong connection to the hospital – it felt as though God was calling her to serve her community at the hospital named for her Confirmation Saint: St. Elizabeth Ann Seton. 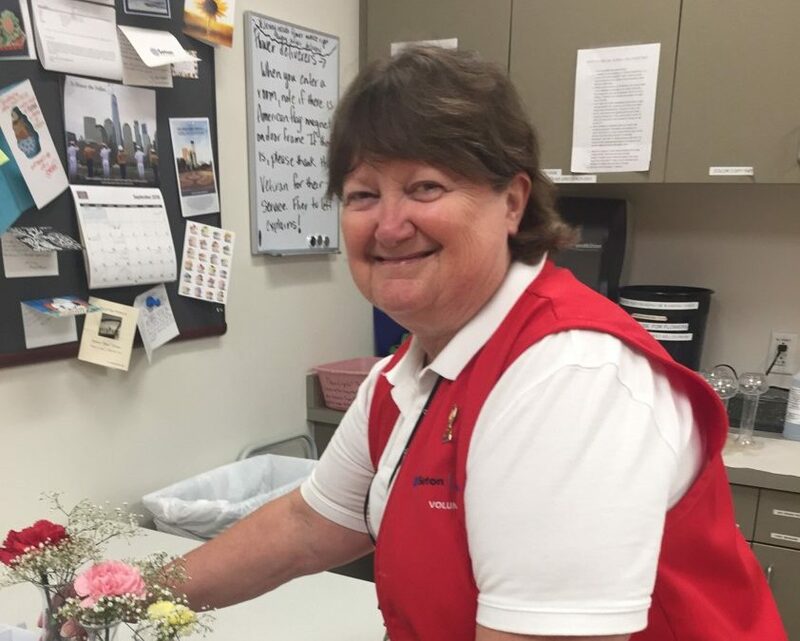 One month after Seton Medical Center Williamson opened, Pam responded to the call – she adjusted her work hours so that she could get to the hospital in time for a 4pm shift at the front desk, and she’s been volunteering ever since. We’re so thankful to have Pam as a member of our Volunteer Family!